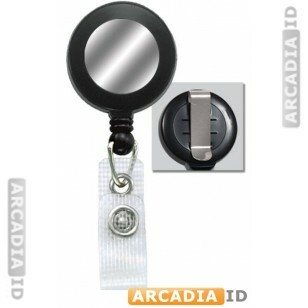 This is a black 32mm reinforced belt clip badge reel with a silver sticker. These allow convenient access to badges and clip easily to a pocket or belt. Not sure what you want? Call us now and we'll be happy to help. 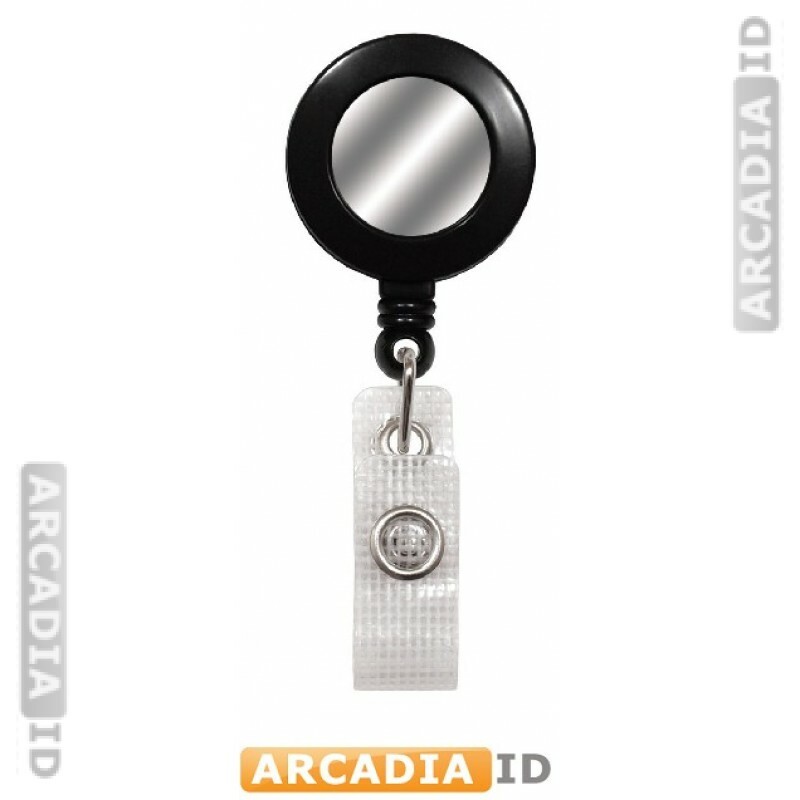 You can depend on ArcadiaID for the very best value and service.